You should have seen the look Chris gave me when I mentioned the colors for Nora’s birthday party. Not that he had problems with the colors I chose, but rather that there were colors at all. Maybe that’s the difference between moms and dads: I’m super excited to have everything match – from the invitations and decorations to the cake and her dress – he’s just interested in the food. But that’s why we make a good team. Chris is going to wow everyone with spectacular brunch, and I’m going to handle the details. 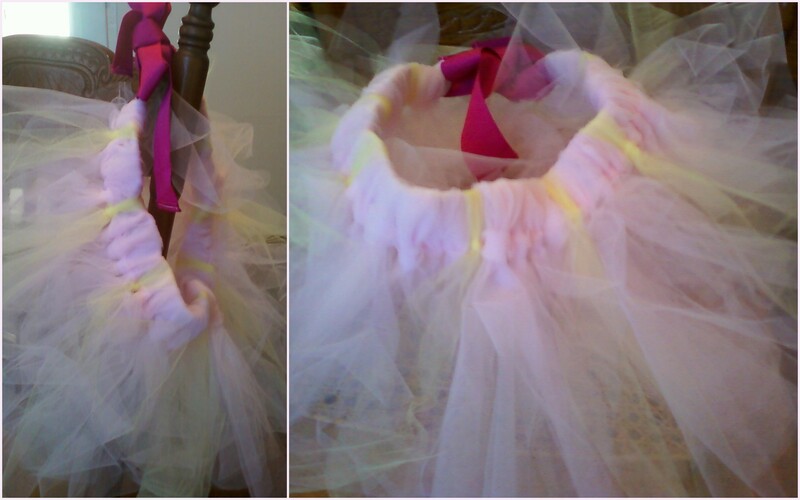 Starting with making Nora her very first tutu. You’ll have to wait for party pictures to see it on her, but it is ridiculously cute. And it’s pink and yellow.